Who can enter the Business categories? These business categories are open to any organisation which fits into the size/turnover band of the business. It does not differentiate between sectors, but looks at the parts which make up the complete business. The headings which are part of the entry form, will be evaluated according to the level of achievement in those areas, based to the size of the business. Click here to complete an Expression of Interest. What are the judges looking for in the business categories? The judges are seeking to recognise a business or organisation that demonstrates great execution of good business ideas and practices, while having developed and remained focused on their future direction. In order to fairly assess businesses against each other, there needs to a level playing field. There are differences in the dynamics of running a business with no staff as opposed to a small team. Likewise there is an obvious difference between business with small teams and business that have a management structure. These categories allow for evaluating entrant businesses against enterprises of a similar scale based on the expectation that they should be undertaking similar systems, processes and activities. Evidence of excellent business performance including: effective management, strategic thinking and business planning, knowledge of market/s and customer/clients, and effective administrative and financial systems. The businesses’ strengths and competitive advantages and what the business believes attributed to these achievements. The businesses’ commitment to delivering quality, customer/client satisfaction and repeat business, and the potential for continued business success and future growth. NDSL Ricoh Northland are 100% locally owned and operated. As the exclusive authorised dealer for Ricoh in Northland we are proud to be the market leading provider of integrated print hardware and software solutions with the power to transform the business environment. As a technology innovator, Ricoh invests continually in research and development in order to deliver inspiring products and give shape to ideas. Globally recognised for its award winning products, Ricoh Northland works closely with businesses to deliver a range of multifunctional digital imaging solutions for document scanning, printing and electronic archiving and distribution. Optimised Print Services (OPS) combine consultancy with hardware and software implementation, to help customers further improve efficiency, cut costs, strengthen security and reduce their impact on the environment. With our office located at 24 Reyburn Street, Whangarei we deliver expert professional services with responsive client support through our team of factory trained technicians. Henderson Reeves Lawyers has been at the forefront of providing legal services in Whangarei for over 30 years. 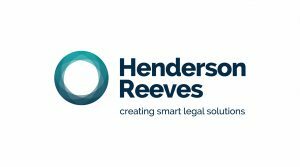 Henderson Reeves has leading practices in Civil Litigation, Family Law, Commercial/Business Law and Property Conveyancing. Smart Move Conveyancing is the innovative property section of Henderson Reeves which offers fixed price conveyancing for straightforward property transactions. Henderson Reeves’ extensive commercial team works alongside many local businesses. As proud sponsors Henderson Reeves has the opportunity to help celebrate business excellence in Whangarei. As winners of the awards, Henderson Reeves acknowledges the benefits gained from entering. The application and judging process gives businesses the opportunity to look closely at their practice and receive constructive feedback about a wide range of aspects related to business performance. Henderson Reeves encourages businesses to apply for the 2018 Business Awards. Being gr eat today and ready for tomorrow is a challenge for any organisation. But it’s exactly what Vodafone is dedicated to helping customers achieve. That means we’re ready to put our weight behind our business, helping you to work more flexibly, efficiently and securely. Our global security team protects our local customers on New Zealand’s reliable network. And we’ll look after the technology and systems that keep your business connected to New Zealand and the world, so you can focus on the things you really want to achieve business. World-leading technology and innovation are important, but they’re just the beginning. Our aim is to build a value-focused, long-term partnership with your organisation. A partnership with a global company that delivers critical skills, support and commercial value you demand. By choosing Vodafone, you’re choosing to be ready. Ready for today and for tomorrow.